Imagine spending nearly twenty-four hours a day alone, confined to an eight-by-ten-foot windowless cell. This is the reality of approximately one hundred thousand inmates in solitary confinement in the United States today. Terry Allen Kupers, one of the nation’s foremost experts on the mental health effects of solitary confinement, tells the powerful stories of the inmates he has interviewed while investigating prison conditions during the past forty years. Touring supermax security prisons as a forensic psychiatrist, Kupers has met prisoners who have been viciously beaten or raped, subdued with immobilizing gas, or ignored in the face of urgent medical and psychiatric needs. Kupers criticizes the physical and psychological abuse of prisoners and then offers rehabilitative alternatives to supermax isolation. 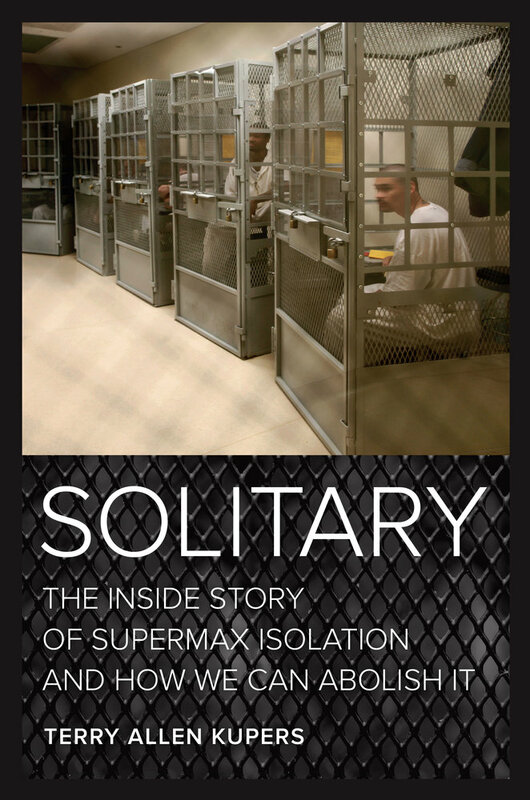 Solitary is a must-read for anyone interested in understanding the true damage that solitary confinement inflicts on individuals living in isolation as well as on our society as a whole. Terry Allen Kupers is an award-winning psychiatrist and Professor Emeritus at The Wright Institute Graduate School of Psychology. As one of the nation’s foremost experts on the mental health effects of solitary confinement, he has testified in over two dozen class action lawsuits about jail and prison conditions, the quality of mental health care “inside” and the effects of sexual abuse behind bars. He is a frequent consultant to the ACLU’s National Prison Project and Human Rights Watch and the author of Prison Madness.